Tiles or Studs: Iron Builder challange started again! We love flickr's challange groups cause they shows us many different ways to use a piece. Iron Builder Challange is very famous contest which creates showdown of two creative MOCer. This time Cecilie Fritzvold and Chris Maddison do their bests to win the challange. 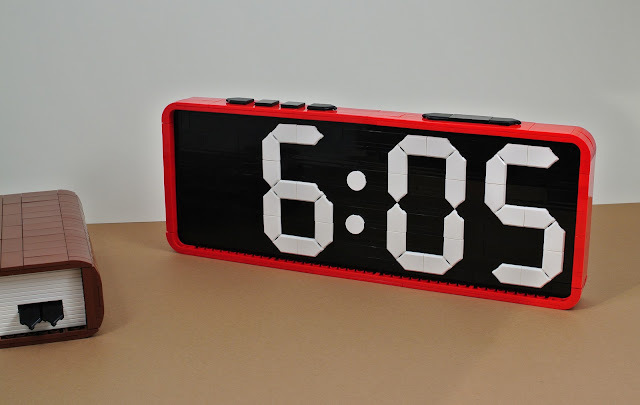 Cecilie recently build a table alarm clock with using Tile, modified 2x3 Pentagonal piece. No time for sleep! is gives us inspiration about the new pentagonal piece.